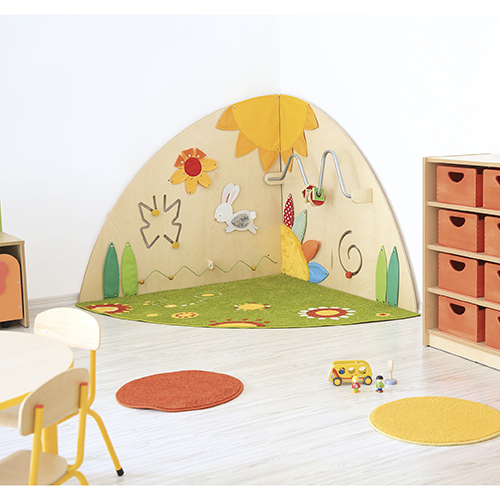 Manipulative walls help develop touch, motor skills, hand-eye co-ordination, and manual dexterity. Children also learn about colours and shapes. 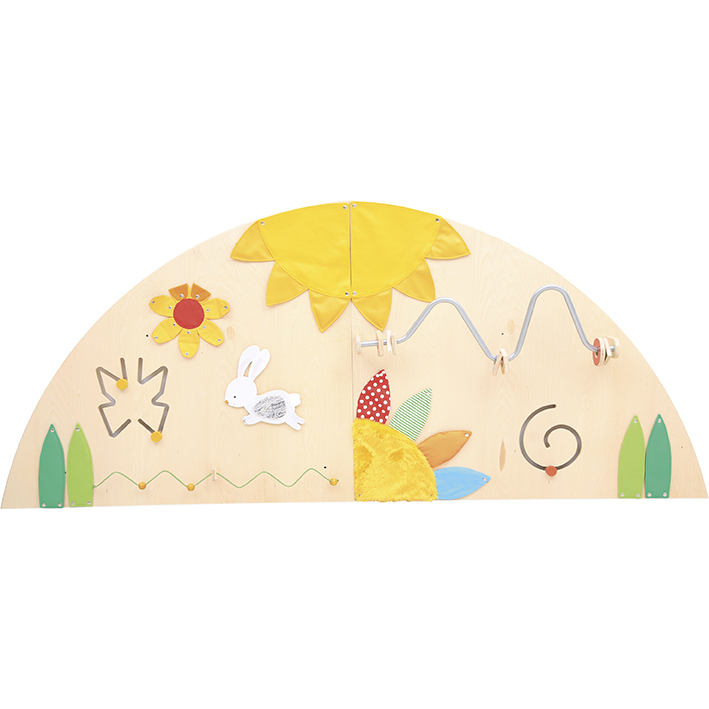 The Meadow includes mazes, bar with geometric shapes, fabric elements with different textures and fillings, a furry rabbit and other fun fastenings. Use in corners or as a straight wall – 2 panels supplied. Ages 1-5. Wall fixings supplied. Manufactured from durable and strong lacquered plywood.